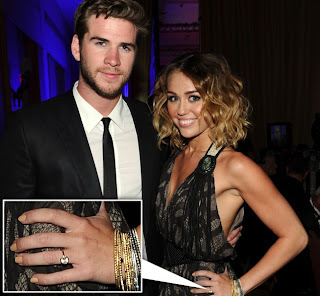 The True Gossip Home / miley cyrus engaged married thetruegossip ring photos diamond liam hemsworth / Miley Cyrus Shows Off Engagement Ring? Miley Cyrus Shows Off Engagement Ring? Miley Cyrus and Liam Hemsworth could be engaged! Cyrus and Hemsworth have been dating since 2009 when they met on the set of The Last Song. Now Miley is showing off a huge diamond ring on her ring finger, and isn't being secretive about it. Miley showed off the ring through her Twitter account by posting a picture of her "new nail polish," and she posed for the paparazzi with her hand on her hip at a recent charity event. She gave the paparazzi a perfect view of the ring. 19-year-old Cyrus looks like she's trying to show off the ring but not make an official announcement. 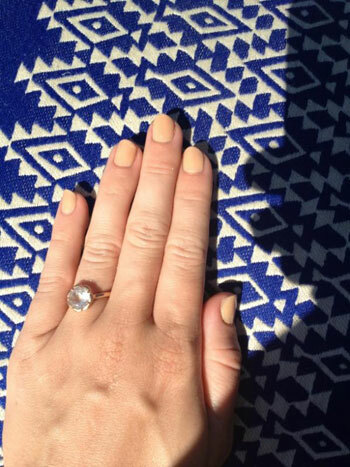 Do you think she's engaged, or could it be a publicity stunt?